Greenwich is part of South East London and just a short distance from the centre of the English capital. Around 30,000 people live in the area, which has a very strong property market owing to its wonderful location. At My Home Move Conveyancing we’ve been improving our knowledge of local markets like in Greenwich since 2001, enabling us to bring our clients in the area a specialist, fixed fee conveyancing service. If you want to buy or sell property in Greenwich, you need to instruct property lawyers to complete the legal work for you. 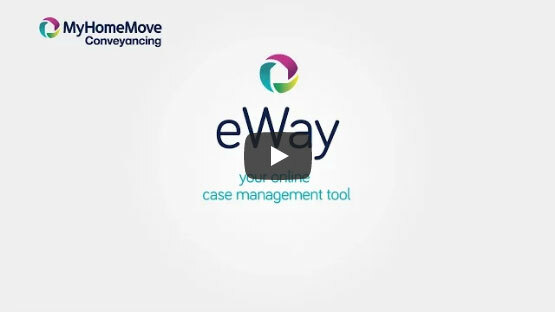 My Home Move Conveyancing offer award winning customer service, intimate knowledge of the local market and an innovative use of technology. Our professional conveyancing service comes for a fixed fee, so you know how much you’re going to pay right from the start. There are no extra charges or hidden fees to worry about when you choose us to be your Greenwich conveyancers. If you don’t end up completing for some reason, you won’t have to pay us anything. You’ll be assigned a dedicated conveyancer who’ll oversee everything for you, looking after all aspects of your case from start to finish and regularly providing clear updates on the progress. You’ll also have access to your account online, so you can check up on things whenever you want. We provide our conveyancing services in Greenwich to homebuyers looking for a variety of properties in the area, including in spots by Greenwich Park and with great access to one of the two rail stations. The average house price in Greenwich is £368,226, while the overall average sale price during the past year was much higher than this at £536,383. Most sales involved flats, which went for an average of £467,076, while terraces fetched £768,325 and semi-detached properties £1,526,714. Greenwich has plenty of history stretching back to Bronze Age finds, Viking settlement and Saxon presence. Notable for its maritime history and for lending its name to Greenwich Mean Time (GMT), the area is also an important royal district. There are plenty of interesting sites and landmarks, such as the National Maritime Museum, to check out around Greenwich, which is incredibly popular as a place to live thanks to its fabulous location. Only around five miles from Charing Cross, Greenwich is a commuter’s dream. Trains to Cannon Street take just 15 minutes, from where it’s possible to change onto the London Underground and reach all other parts of the city. If you want to go on holiday, London City Airport is across the Thames to the north, while it’s around an hour to Heathrow and Gatwick with public transport. There are lots of schools in the local area for families with children to choose between, with the primary selection including James Wolfe Primary, Invicta Primary and St Alfege with St Peter’s CofE. Options at secondary level include John Roan School and St Ursula’s Convent School, while the University of Greenwich main campus is in the buildings of the former Royal Naval College. All properties in Greenwich will fall within one of the following council tax bands.